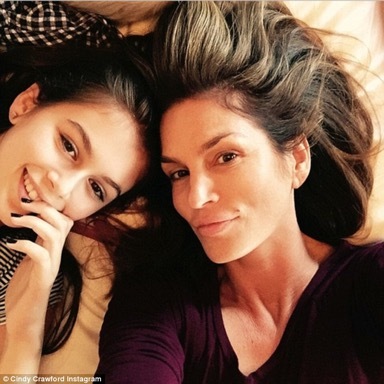 Cindy Crawford, daughter Kaia Gerber pose for makeup-free selfie. Alessandra Ambrosio, the Victoria’s Secret Angel stars in shares a with her 4-year-old daughter, Anja. She was the face of the Nineties with catwalk queens Naomi Campbell and Cindy Crawford. Christy Turlington shows off her maternal side in the DuJour shoot and throws her arms around her daughter Grace for an enchanting picture. 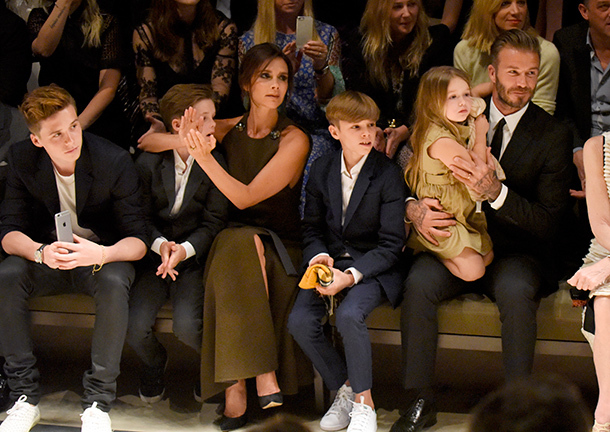 Victoria Beckham is, understandably, pretty happy with her family at Burberry's London in Los Angeles — from classic teen Brooklyn, pretty Romeo, cute little Cruz and the unbelievable Harper. And David, obviously. Feeling the love: The 17-year-old shared a sweet embrace with her model mother, Christie Brinkley. Intimate in black and white! In mesmerising shots, released in W Magazine, Angelina Jolie and Brad Pitt have given a rare insight into their private life.